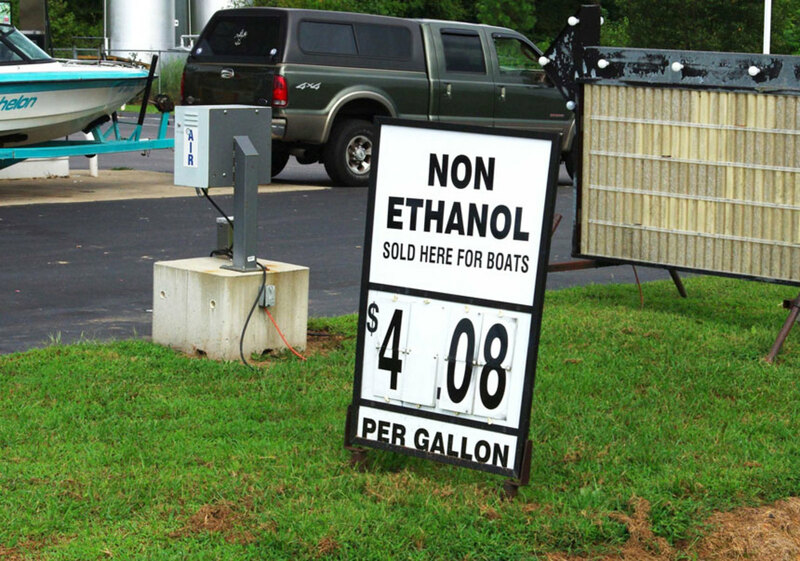 A new study by the Outdoor Power Equipment Institute found that there is confusion among consumers, especially boaters and owners of power equipment, at the fuel pump because of changes in the fuel marketplace. The study, as reported in NMMA’s Currents today, found that “consumer confusion reigns” about fuels for the sixth year in a row. The study was conducted by the Harris Poll, which surveyed more than 2,000 U.S. adults. More than 3 in 5 Americans, or 61 percent, according to the study, assume that any gasoline sold at gas stations is safe for their cars and also for boats and other small-engine products. That number rises to 69 percent among adults ages 45-54. The reality is “higher ethanol blends, like E15, E30, and E85, are illegal to use in most outdoor power equipment and can damage or destroy it, and invalidate manufacturer’s warranties in many cases,” said Kris Kiser, president and CEO of OPEI. The survey found that about 68 percent of the respondents use the least-expensive grade of gasoline whenever possible to fill up their cars. They will also use that same fuel to fill up portable gas cans. Only 20 percent said they notice ethanol content at a fuel pump. The survey found that less than half of owners who own power equipment pay attention to the type of fuel they use. More than 1 in 10 owners are fueling incorrectly and that number might be as high as 3 in 5, according to the survey. “To add to this concerning trend, E15 is being marketed as Octane 88. So, we essentially have a muddled marketplace that now has to deal with even more mixed messages,” said Kiser. The poll found nearly 9 in 10 Americans are not aware that Octane 88 fuel contains more ethanol than Octane 87 fuel. More than 3 in 5 Americans say they would purchase Octane 88 to fuel outdoor power equipment if it was cheaper than other unleaded/regular fuels. That number drops to 20%, after they learn that Octane 88 contains 15 percent ethanol, which is neither legal nor recommended for use in most outdoor power equipment. The majority of Americans said the 2.5 x 2.5 inch warning label from the EPA is inadequate. That label is voluntarily placed on pumps to inform consumers about E15 fuel being illegal to use in outdoor power equipment. They said it should be larger, clearer and mandatory. Nearly 9 in 10 Americans, according to the survey, agree that the U.S. government should do more to educate the public on correct fueling for different engine types.